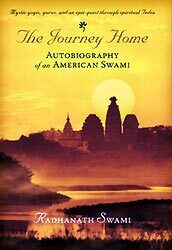 Richard (now Radhanath Swami) meditated on Srila Prabhupada’s sacrifice, his enduring consecutive heart attacks at the age of seventy while travelling to America. Richard meditated on a prayer written by Srila Prabhupada when he was stranded on a cargo ship in the middle of the ocean on his voyage to America. In Srila Prabhupada’s prayer Richard found humility springing from the heart of a man who had forsaken everything for the spiritual welfare of others. As he associated with Srila Prabhupada more, Radhanath Swami says he felt that all of the events in his life so far had been conspiring to bring him to this point. 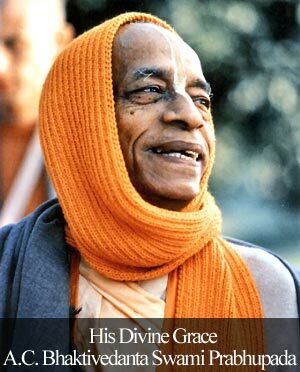 From the very core of his hart, a spirit of acceptance of Srila Prabhupada as his guru awoke. In this state, he felt joy and gratitude flooding his heart. My realization on reading this section was that the principles and practices of spirituality are most profound and subtle, far more than those of any other field. To pursue any field seriously, we get immense benefit by learning from a person who is experienced and learned in that field. Then how much more this could be true for spirituality. Seeing Radhanath Swami’s meeting so many gurus and his final decision to connect to one of them, was a significant affirmation for me that we need a systematic training, shelter and guidance from one teacher. I began to feel that if we insist on practicing spirituality without a spiritual guide, we will most likely get lost in the plethora of philosophies and practices and not make any substantial spiritual advancement. Sometimes we have a doubt on whom to choose as a guru. Radhanath Swami gives us handy tips. He says regarding choosing a guru we can adopt the same standard and caution that we adopt in choosing a doctor when we are sick. Certainly choosing a good doctor may not always be easy, but without the doctor, we will remain sick, bereaved of the health and energy, natural to us. Similarly choosing a guru may not be easy, but without a guru, we will remain spiritually sick, bereaved of the love and happiness natural to us as eternal spiritual beings. When we want to choose a doctor, we implicitly understand that there can rarely be a self-appointed doctor; a competent doctor will be one who has been trained and certified by a pre-existing panel of competent doctors. Similarly, there can rarely be a self-appointed guru; that’s why the first qualification of a genuine guru is that he or she has received knowledge through a succession of qualified teachers in a recognized school dating back to remote times. This shows Maharaj’s deep love for his Guru Maharaj. Such a heart warming narration: when a sincere soul is led to his destination. 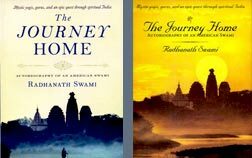 Radhanath Swami’s journey is awe inspiring. Thankyou Maharaj for your wonderul explanation and sharing your realisation on choosing a guru in one’s life. I can only pray that one day with the grace of Krishna & His devotees, I will get opportunitiy to have such guru & my life woould get on the highway of perfection. Very nice analogy given here that……. without the doctor, we will remain sick, bereaved of the health and energy, natural to us. Similarly choosing a guru may not be easy, but without a guru, we will remain spiritually sick, bereaved of the love and happiness natural to us as eternal spiritual beings. Jai!!!! !